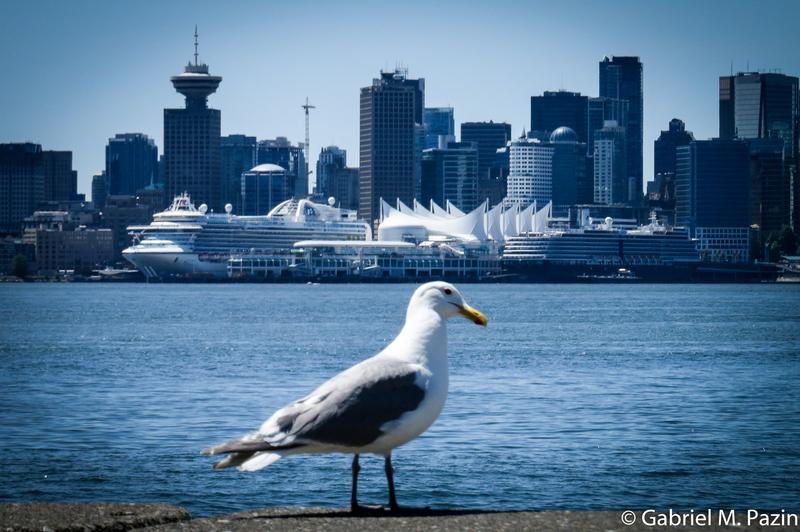 [Guest post] Vancouver: where the nature gives its special touch | What do I travel for? Many people say that Vancouver is the city which least looks like a Canadian city, however they are the same people who say that Vancouver is the most beautiful city in the country. It is the least Canadian city perhaps due to the large quantity of immigrants who have been living here, especially Asians. Most beautiful probably because its surrounding mountains, parks, beaches, wooded and cleaned streets. So that in 2011, over 8 million tourists visited Metro Vancouver, and over half of the tourists were Canadians. 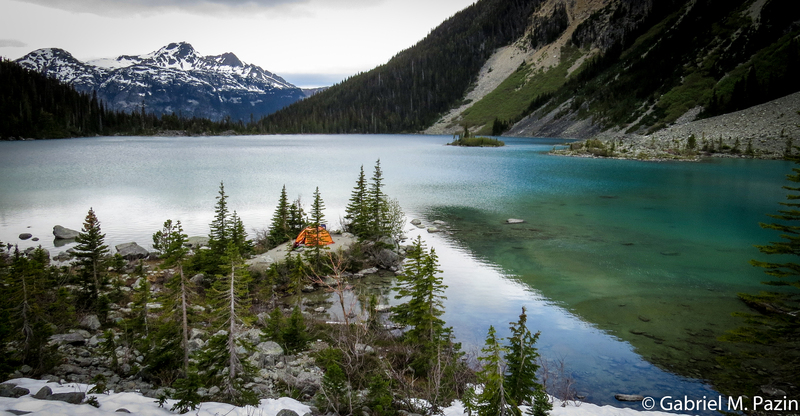 Over one-third of the travellers have come to Vancouver and its national and provincial parks to practise outdoors activities, such as camping, fishery, kayak, etc. Most of the tourists have come to Vancouver during Summer and it makes sense, the city is really beautiful in summertime. Days last longer with the sun setting over 9pm. Flowers decorate streets. Music festivals have happened weekly. Many free attractions. Many people occupying parks and beaches. Vancouver is a city where the diversity is common and everybody may express themselves whatever they want, everybody here is welcome. Downtown seen from Waterfront Park in North Vancouver. But what most delighted me until now was indeed the nature. Many parks and trails are accessible by Public Transportation from Down-town and most of them are free entrance, which makes sunny weekends much cheaper to enjoy. Man fishing in a clear river in Capilano River State Park. Accessible by bus from Downtown. In the trails we can often meet whole families (including pets) hiking or camping. And even when they meet unknown people while hiking, Canadians are used to greeting whoever comes their way, therefore don’t be scared if you listen to “Hello, how are you doing?” or a simple “Hi!” with a smile from an unknown person. This is the polite Canadian way to be and live. Upper Joffre Lake, the largest and most beautiful lake in Joffre Lakes Provincial Park, a park near Pemberton, about 2 hours by car from Vancouver. Spending hours hiking a trail is much more than a basic hobby to me, there’s always a new challenge. It’s about testing the body and mind limits. From the body, when the legs can’t stand it anymore. When the blisters on the foot beg you to stop. When the mouth dries and the bottle of water is over. From the mind, to control all the difficulties struggled and body limitations. 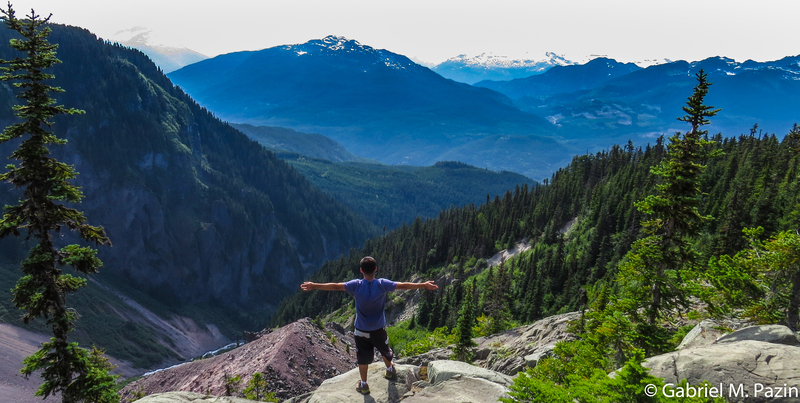 After over one hour hiking up 1000 meters, the sight is rewarding at Garibaldi Provincial Park. According to the legend there’s always a pot of gold in the end of the rainbow. Here in Vancouver in the end of a trail there’s always a beautiful lake with hundreds shapes of green and blue or a stunning sight of a valley, a city, of the mountains. And in the end, all the pains is forgotten and all the effort is rewarded. 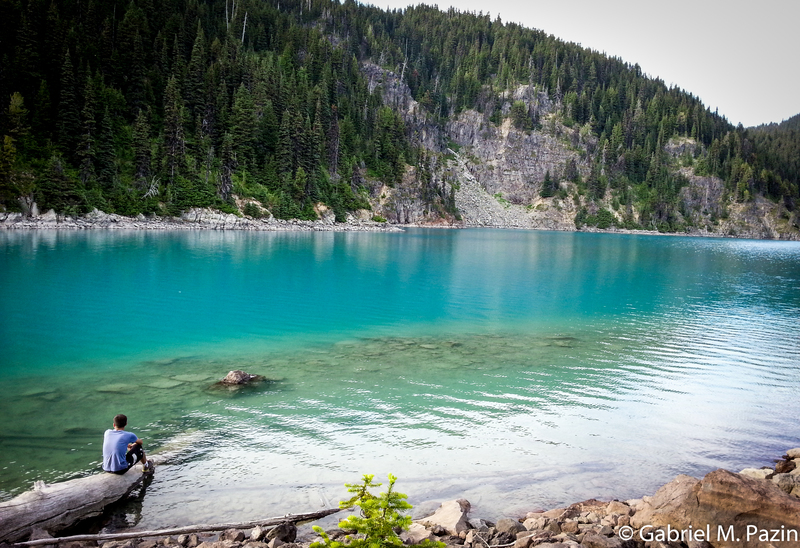 Garibaldi Lake and its dozens shapes of green and blue. I have seen a lot of nice pictures from Canada recently and I must admit, it’s growing on me fast! Born and raised in São Paulo. Currently living in Vancouver, Canada. Since I was child I had the dream to discover the world and live abroad. My journey started in 2010 and since then I've traveled around 24 countries. Museums, synagogues, mosques, concentration camps, pyramids, historical sites, mountains and people. Every single place I've been and everyone I've met on the road contributed to me to become the person I'm now. And of course, inspired by rock'n'roll and a few good books. Life is outside.